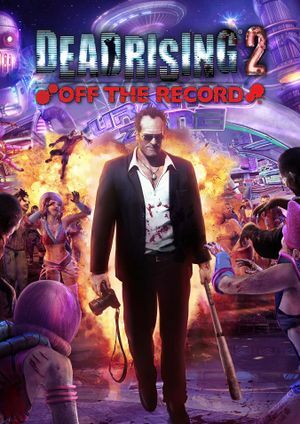 Based on Dead Rising 2 with similar overall content but slightly improved gameplay features. Steam version DRM switched from Games for Windows Live to Steamworks. Retail product keys activate on Steam (Games for Windows Marketplace game and DLC cannot be transferred). A title update is available. The game should automatically prompt for the update when using a LIVE profile; the update can also be downloaded manually (extract the contents and run setup.exe). May require Custom refresh rate. Modify the Refresh entry to the desired refresh rate. Make sure your monitor supports the desired rate. Mouse aiming can't be used if controller is enabled. Edit the file keymap.txt (keyboard controls) or mousemap.txt (mouse controls) with Notepad++. Volume sliders for music and sound effects. Using Notepad to modify game files may cause errors. Use Notepad++ to edit the .ini files mentioned on this page. The audio-related crash was resolved in the 20 May 2015 patch released for the Steam version. The game will not warn you about client issues, just silently crash. These steps do not apply to Windows 8 and later. Vista and later: open the Start Screen/Start Menu, type services.msc and press ↵ Enter. Windows XP: press ⊞ Win+R, type services.msc and press ↵ Enter. In the new window, open the entry for Windows Live ID Sign-in Assistant. Ensure Startup type is set to Automatic and confirm by pressing OK.
Dead Rising 2: Off the Record installs on Windows 10 Creators Update, but launching the game fails. It appears that something is causing the game to not create the RenderSettings.ini file. If you have Dead Rising 2 installed (which is oddly NOT affected by this issue), you can use the RenderSettings.ini generated by it to get Dead Rising 2: Off the Record working. Right click on and select to copy the RenderSettings.ini from this folder. The example used in this guide is for Steam downloads. Follow the recommendations in the audio sample rate fix, above. If you continue to have issues, read on. Remove both Microsoft Games for Windows - LIVE Redistributable and Microsoft Games for Windows Marketplace. Go to <path-to-game>\support\DirectX\. Run DXSETUP.exe and allow any additional components to install. Go back up to the installation folder. Like steps 5 and 6, set deadrising2otr.exe to run as an administrator and in compatibility mode, but this time select Windows 7 as the mode. Press OK to accept the changes. Run deadrising2otr.exe by double-clicking on it, instead of through Steam. Allow Games for Windows Live to automatically update, but do not reboot; simply continue with the game as normal. If you are able to play the game to the point of standing in a locker room, then this fix has worked. ↑ Games for Windows - LIVE DRM features: SSA+ZDPP activation, local profile support unknown. ↑ 2.0 2.1 File/folder structure within this directory reflects the path(s) listed for Windows and/or Steam game data (use Wine regedit to access Windows registry paths). Games with Steam Cloud support may store data in ~/.steam/steam/userdata/<user-id>/45770/ in addition to or instead of this directory. The app ID (45770) may differ in some cases. Treat backslashes as forward slashes. See the glossary page for details.